After all the time, drama and fanfare that surrounded Isla's last loose tooth, I expected then next one not to be lost until summer (slight exaggeration) when she mentioned it was loose. After all, the prior one was honestly probably loose for a good two months. It was literally hanging by a thread for a week. She refused to allow any of us touch it and if she even thought there may be pain involved, she wouldn't even touch it herself. She even ate on the other side of her mouth, as to not disturb it. This tooth wasn't even that loose. But, on Saturday morning, while eating breakfast, she bit wrong and blood came pouring out. The tooth remained in, but there was lots of blood and a bit of a freak out by her. We got her all cleaned up and calm and went on with our morning. Then, while I was getting ready for the day, Isla calls out, "MOM!!! I LOST MY TOOTH!!!" I literally thought it was a joke. And I couldn't believe that she was ecstatic and not freaking out because there was again more blood (less than earlier, but more than just a bit). But she was thrilled and ready to show anyone that would look her new toothless smile, which I must admit is so stinking adorable. A few notes about this above picture, which makes it even more adorable than it already is. The whole thing was her idea, wanting to hold up four fingers for it being her fourth tooth lost. And yes, all four teeth are in that little vile she is holding up. They are like precious jewels to her. Jewels she has even played with friends with when they were over. Like out of the vile, them giving the teeth a bath. Yeah, I don't get it either. 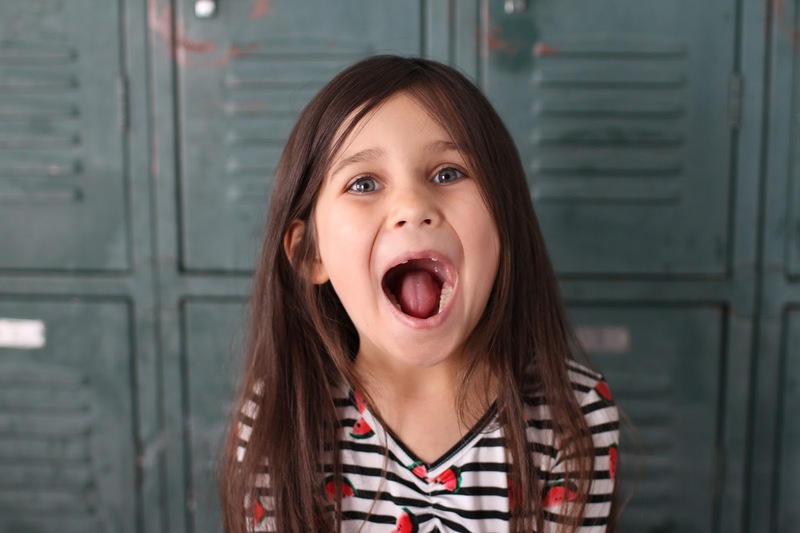 Also, this picture was taken at most an hour after she lost her tooth. Notice the marker all over her hands? 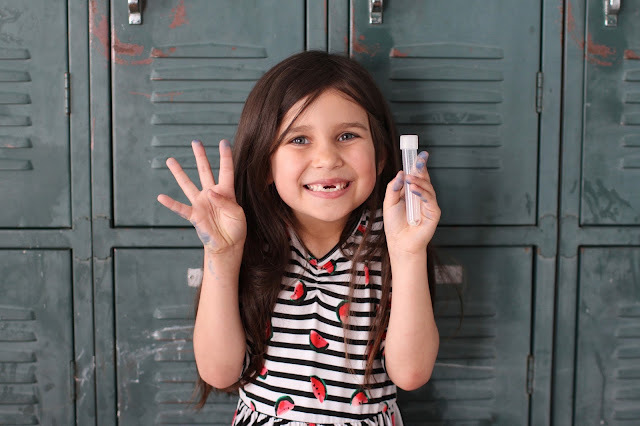 As soon as the tooth was out and cleaned up, she instantly went to work writing a letter to the tooth fairy, complete with a drawing of her and the tooth fairy together. It was pretty stinking cute. But, let me tell you, she was not happy the next morning that the tooth fairy didn't take the note. I actually was searching for the teeth, but couldn't find those and didn't remember to look for the note. I literally lifted her up trying to find them. Apparently the teeth and note were under a decorative pillow on her bed and not the pillows she was sleeping on. #momfail She will survive though. 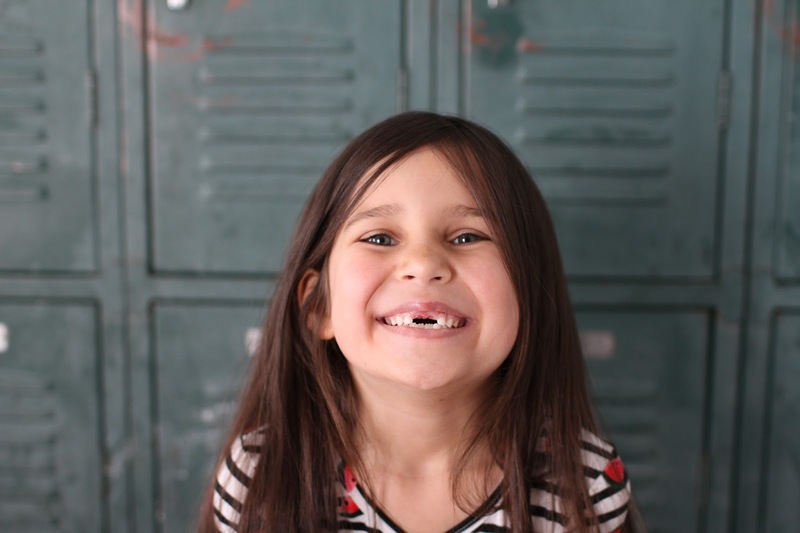 She got a note back from the tooth fairy, so all is good with the world. I sort of hope it takes a bit for her new teeth to start coming in because this toothless smile is just the best!